Have you ever tried to tell your guy something without actually telling him? Maybe you wanted a specific gift for your birthday, but didn’t want to come right out and say it. Or you were stuck in an awkward social situation, and wanted him to bail you out. Or you might have been upset, thinking he could surely tell something was off. Sometimes he picks up what you’re laying down. Other times, he’s blissfully unaware. There’s actually a good reason why he may not catch your subtle clues. The reason has nothing to do with whether or not he genuinely cares. It’s not a gauge of his commitment. It’s not even an accurate measure of whether or not he’s the sensitive type. Nope, it’s genetic differences, pure and simple. It all comes down to the way his brain is wired. 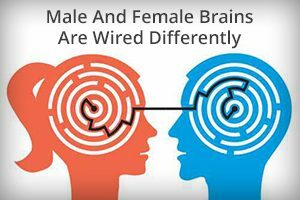 That’s because the male brain is not like the female brain. There are differences in our chemistry, activity, structure, and even blood flow. So how he thinks is sometimes different from how you think. And sometimes that difference will make it really hard for him to take a hint. Grey matter is for super-charged focus. It gives you the ability to block out distractions and stay on task. Guys’ brains are naturally good at this, but it comes with a downside. White matter, on the other hand, is for networking. I’m not talking about LinkedIn or Facebook. I mean networking within your mind. This is where women have an edge. The different parts of your brain “talk” to each other using white matter. Like, for example, when you multi-task. White matter also helps you notice other stuff going on, even when you’re focused. You can see the potential problem, right? He’s great at maintaining a single focus, but he may not be as perceptive as you. All those super clear signals you’re sending? Yeah, he’s probably missing a lot of them. So one of the best things you can do for your communication with your guy is to stop dropping hints. Instead, TALK to him. Here are a couple of pointers for making your conversations as productive as possible. First, when you want to talk about something serious, make sure the conversation is the center of his focus. Don’t try to pull him away from something he’s already invested in. Wait until his mind is free. Second, when something comes up in the moment, cut him some slack. Here’s what I mean. Suppose the two of you are hanging out while he’s watching the game with some friends. A comment from one of his friends hurts your feelings. You don’t want to make a scene, so you don’t call attention to it directly, but there’s definitely a shift in your mood. Because he’s focused on something else at the time – in this case, the game – it’s highly likely he won’t sense how you feel. Rather than getting upset about his lack of awareness, remember how his brain works. Then go back to tip #1. Later, when there’s nothing competing for his attention, talk to him. When your connection with your guy is strong, it can be easy to forget how differently the two of you think. But the difference is huge. Chances are, you’re much better at picking up on subtle cues than he is. The easiest solution is to stop relying on hints. Just talk. By taking into account how his brain works you can avoid a lot of common pitfalls, making good conversations even better. [i] Jantz, Gregory L., Ph.D. “Brain Differences Between Genders.” Psychology Today. Sussex Publishers, LLC, 27 Feb. 2014. Web. 26 May 2016. This entry was posted in Communication, Relationships and tagged communication, differences by James Bauer. Bookmark the permalink. I have a question that is sort of about your post. I’ve been with my boyfriend going on 3 years. He isn’t one that likes drama, nor do I. However he seems to create a lot of it himself. One of his most attractive qualities is his honesty. No matter what the situation he told the truth. That hasn’t changed but now he just doesn’t say anything to me about certain things. Okay let’s go forward a few months. He and her had a disagreement about a person he wanted to have nothing to do with but she gave the person his number. When he asked her about her giving it to that person she lied and said no. He had seen the text between her and the other person. So he told her to forget his number. Good for me right? Anyways about 4 months had gone by. He is speaking to her again. Not because she called and apologized. He had to go pick up a check that was by her house and he texted her. He stopped by. This ex is someone that he nearly lost himself over. It’s been 8 years since they were together. They don’t seem to have any interest in each other besides staying connected. My thoughts are an ex is an ex for a reason. I am not in contact with any of my ex’s. Is he still wanting to be with her? I need to know. When I ask him, he told me absolutely not. That even though they couldn’t make it work, she’s still a good friend. Thank you so much for your post. Your question may require a bit of back-and-forth dialogue. 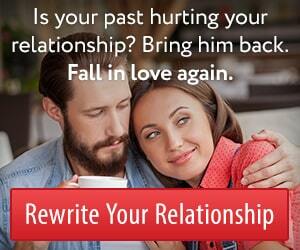 Maybe you should reach out to our relationship coaches. Hi Mary. Sometimes things really are as simple as they seem. If he wanted to be with her, why would he be with you instead? Naturally I understand it can be more complicated than this. Perhaps you’re wondering if he’s harboring some secret desire that the passion will erupt between the two of them again. But knowing it’s a small chance he stays with you who he sees as his second choice. But honestly, that’s not a good way to live. Yes, once in a while people burn us, steal from us, and lie to us. But most of the time they don’t. And you’re better off living a life where you choose to trust people, especially the ones who are known for telling the truth. Thanks this was really helpful to me and I am glad that I am not being intentionally ignored. How do I give him the feeling of bei.g Free when I’ve texted him several times to pls don’t give up on us n that I need him deeply n ask him to call me? Is it OK if I call him n text him hm he is not responding??? Hey Trish. 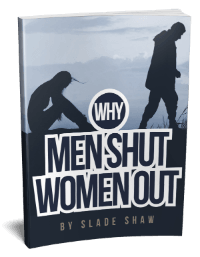 There are ways to reach out to a man without making him feel pressured or trapped. It takes a bit of fineness though. Maybe you should reach out to our relationship coaches. I know this has nothing to do with this post.. but I don’t know where to turn. I’ve been with my ex bf for years and we’ve been friends for 4 years before that. we broke up so suddenly and I don’t understand why. he felt like he wasn’t good enough for me, so he said he wants to break up. he was crying so much. then he became cold to me when I basically said yeah okay let’s just do just that. I was crying too, I did try tell him that it was all in his head, how he’s more than good enough but like it wasn’t getting through to him. so I just respected what he wanted. that’s when he shut me out. it really hurt me. I didn’t understand it. then we spoke a few months later and he told me he was hurting from what I said, I just don’t see why, I just respected what he wanted. then it dragged on for months, he started being so distant then angry. we stopped speaking properly and the only time we do speak is when he’s accusing me of moving on but he’s the one saying I deserve better. so??? how can he get so angry at me, when he was the one who wanted it to be over. but get angry at the thought of me moving on, I see him doing just fine, talking to other girls and I don’t even say a word. then every 3-4 weeks, he would text me things in a passive aggressive way. not really actually saying how he comes about with his assumptions. once in a while he texts me how he miss me, how I’m the love of his life, he can’t take it ect. but I don’t respond with telling him how I feel because he’s not exactly doing anything about it apart from tell me. he’s not going out his way to work things out, he’s not even said that to me directly. he doesn’t put his words into actions, so I find it difficult to respond to him. I feel frustrated even because I do love him. I just don’t understand this behaviour of his. I feel like he’s feeling depressed and got a lot going on and it hurts me that I can’t be there for him. he doesn’t know that. but it does.. I want him to be ok, I feel protective over him a lot. which is why I don’t respond to him negatively when he does get out of line with his passive aggressive text messages. it hurts me a lot because he’s never ever been so disrespectful to me before. never. whether it was when we was friends, or when we was together. he’s just never been so hurtful with the things he says, not deliberately anyway. it hurts. I just never seen him so low. when I do ask him what he’s talking about, he doesn’t respond. I do want us to be together.. I can’t see myself with anyone else.. honestly, I don’t know what to do.. please help.. it’s been almost a year.. the last time he’s messaged me randomly was the beginning of July.. which he didn’t respond back to me when I respond either. please help. Hi Julia. There are two possibilities that arise in my mind as I consider what could be going on here. 2. Because of reasons he has kept hidden from you, he felt you saw yourself as being better than him or in some way “too good for him.” He tested this assumption by telling you he knows it to be true (to see if you would argue against the idea). When you didn’t (or at least not to a level he was satisfied with), his sadness and feelings of loss turned into anger which he now directs at you on a periodic basis. He wished you would’ve proven him wrong and shown him that you are unwilling to accept such a ridiculous reason for ending the relationship. If it’s the second situation, you’re right about him using a lot of passive aggressive behavior in a completely useless attempt to get you back. You need to call him out on the carpet. You need to tell him that he seems to be operating under assumptions that he has not made clear. You need to ask him to go back to the very beginning and state clearly why he thinks you are better than him and why he felt the need to break up with you. Don’t let him use crying or self-hate statements to distract you away from the core issue.